As a service provider, you have to be ready for anything your clients throw at you, even if that means meeting industry specific regulations. The healthcare industry, for example maintains some of the strictest data protection and privacy laws – and for good reason. So how can you ensure you’re ready to meet this industry’s tall expectations? 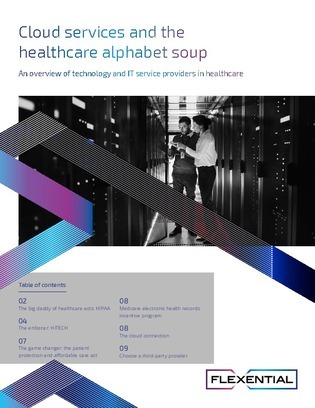 Read this white paper to learn about the healthcare industry’s biggest regulation: HIPAA and what it takes to remain within its good graces.